After-school and camp. 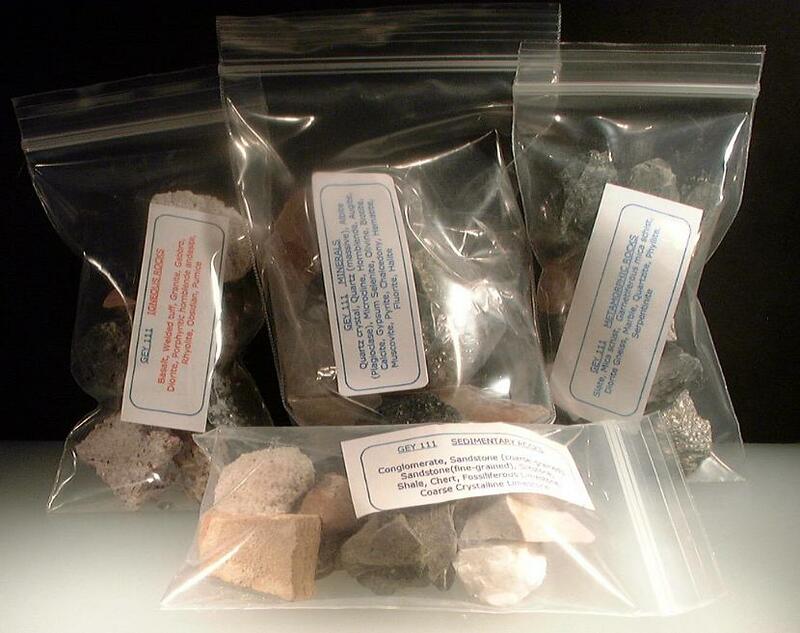 As many of you know we provide science companies and summer camps with little rocks and minerals for summer camps and after-school programs. If you need thousands of rocks to hand out, contact us for those size prices and availability. Geology lab sets. 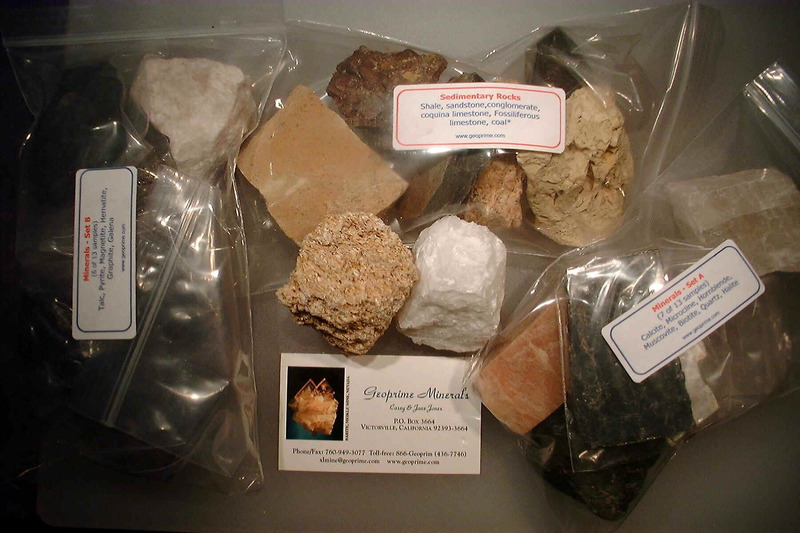 If you need a set of rocks and minerals for your geology lab or on-line class, we do a variety of custom sets for colleges, institutions, junior and high schools, museums, and others. Some are bagged sets as shown below, others are similar bagged sets housed in a heavy duty white tuck top box for better storage and shipping. We also have compartmented boxed sets. We do this a lot and are happy to quote you. Our size and direct link with the customer makes us flexible. Even we cannot do it for free, but if science lab costs have gotten out of control at your school, chances are we can help your students afford to take your classes again. Sorry, we can't do anything about the textbook cost . . .
9 igneous rocks, and 8 sedimentary rocks. Packaged separately and then in a master bag and/or box with streak plate and glass plate or whatever you want in your tool kit. The particular samples affect the cost. Other items such as hand lens, acid bottle, nail, magnet, etc., can be added. Numbering of samples is also additional. Contact us and we are happy to send you sample lists of college sets we currently put together along with their prices. If you are selling through a bookstore we will require the set to be in a box to make storing and inventory easier on the bookstore end.